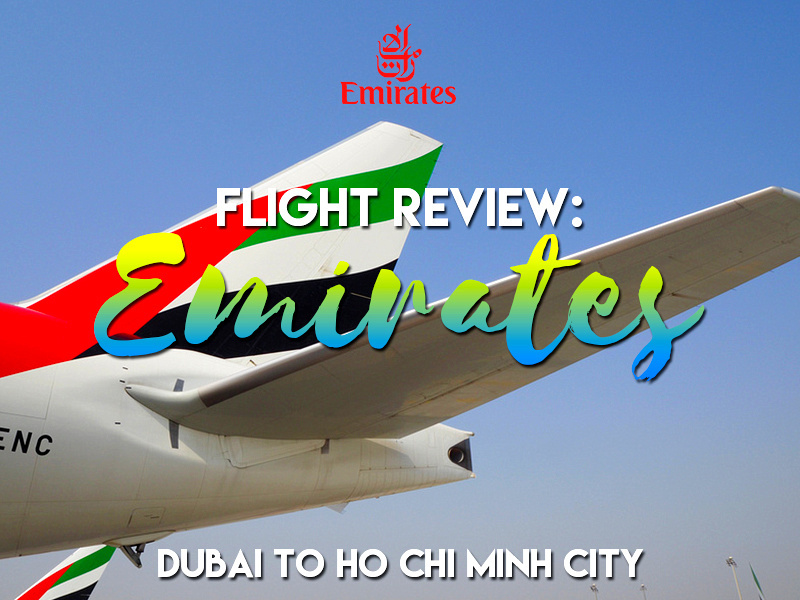 I flew with Emirates from Dubai to Ho Chi Minh City. This was a booking with points from Qantas, who are their partner outside of the Oneworld Alliance. 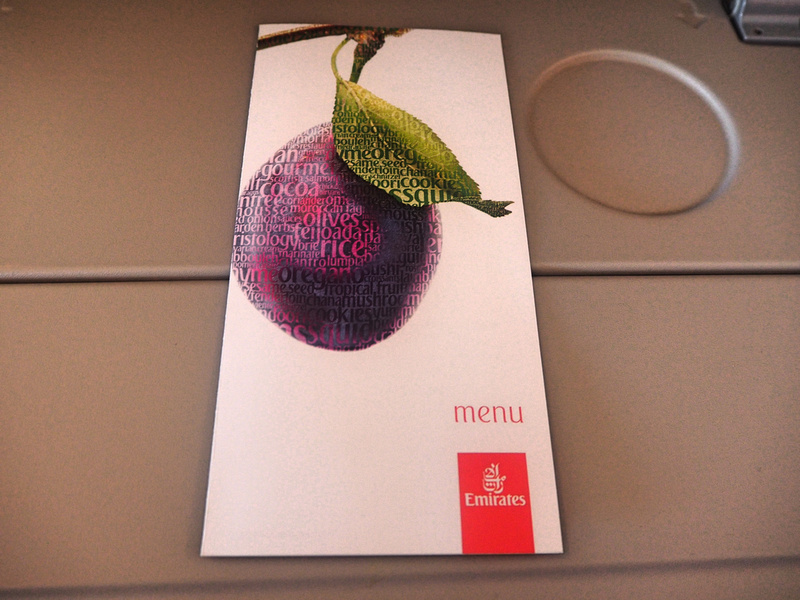 I’ve flown with Emirates a few times before I like their service, so this was an easy choice to make. My last flight with Emirates was from Dubai to Johannesburg, which was a connecting flight from Barcelona. 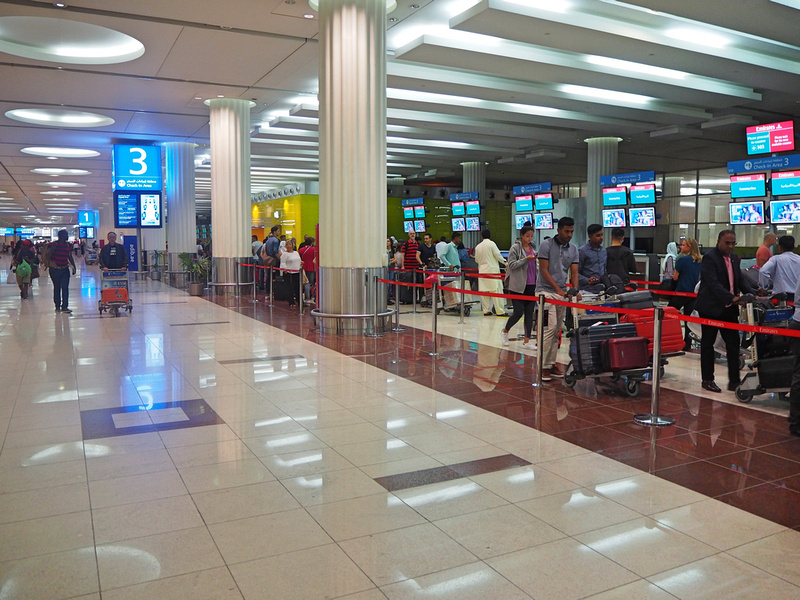 This time I was staying in Dubai, so I would experience the checking in process of Dubai Airport as well. 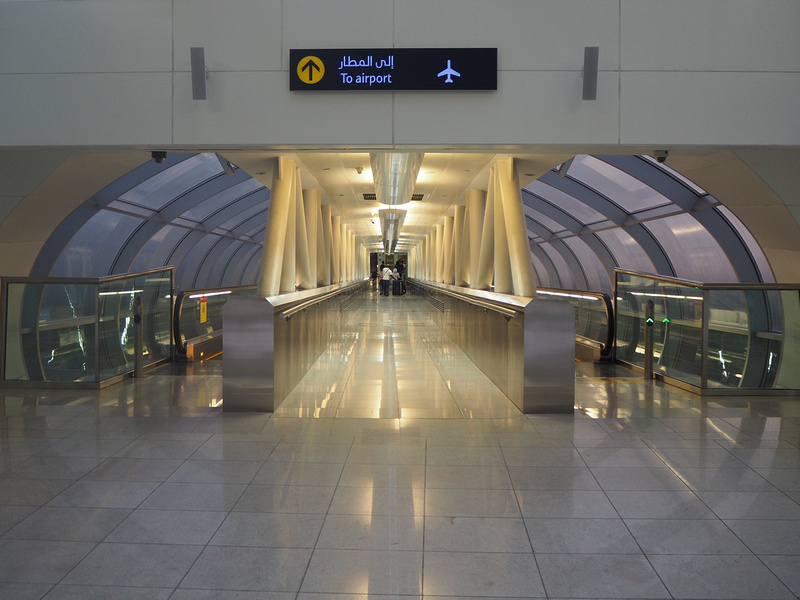 When I first flew with Emirates in 2006 I remember being thoroughly impressed with DXB Airport. 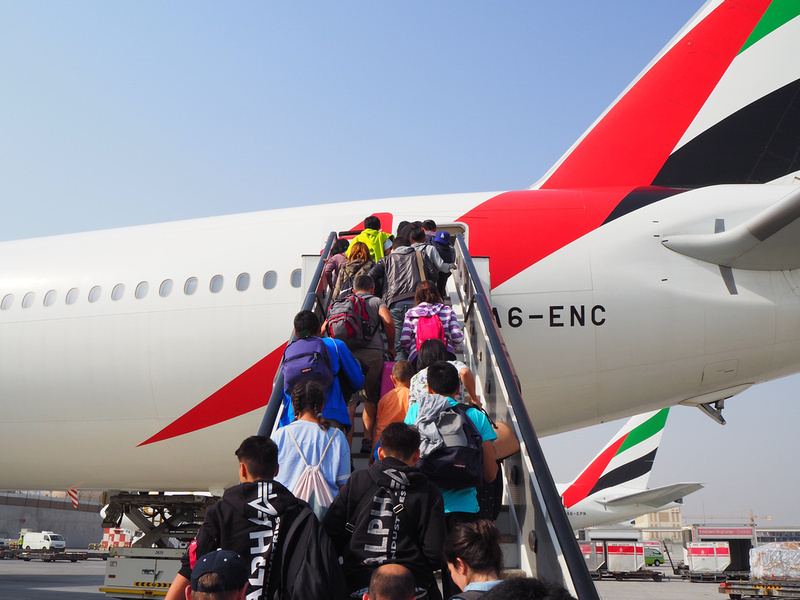 It felt modern and spacious, and that Dubai was living up to its goal of becoming the centre of the aviation world. 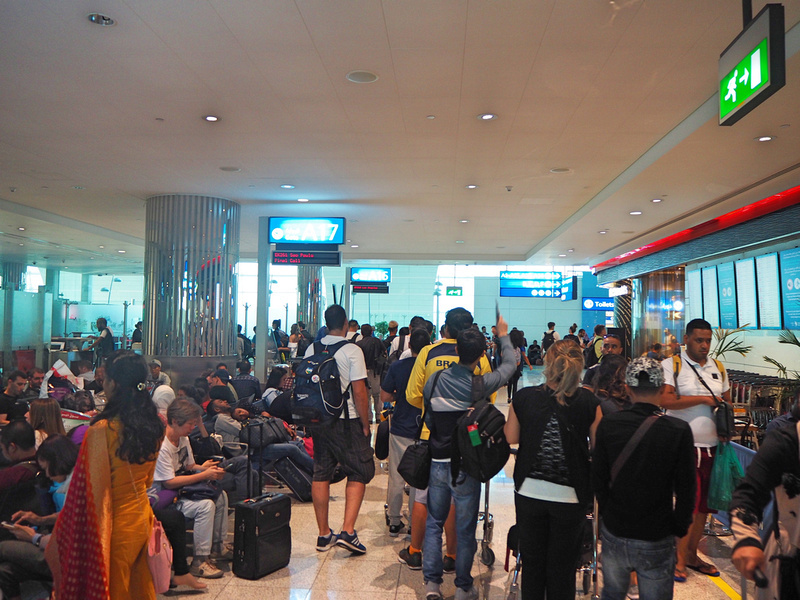 Now, 12 years later, DXB feels cramped and completely overwhelmed with the traffic it now receives. The one improvement from my previous visit is that there is now a metro station at the airport, so getting here is much easier. Checking in at Dubai was smooth enough given how busy it is. 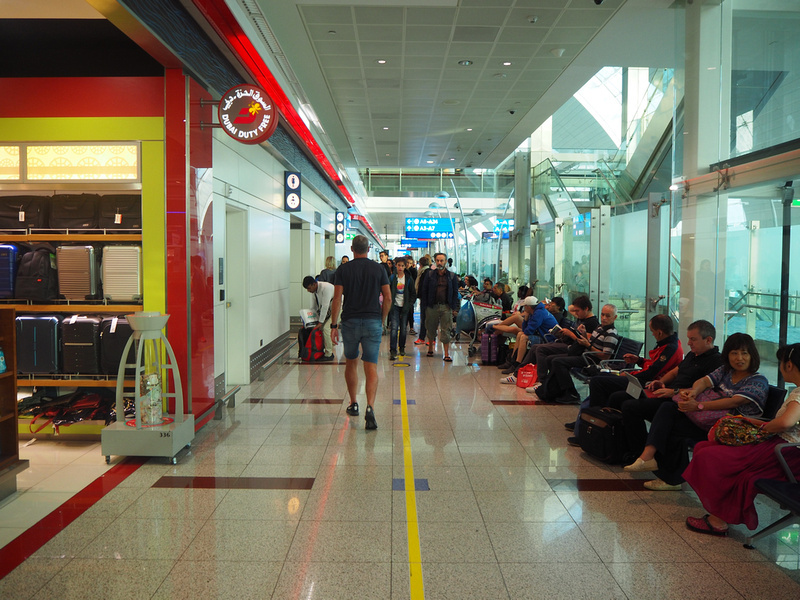 There is a dedicated checking in hall at Terminal 3 for Emirates, which is overwhelmingly the largest carrier at the airport. The check in process is open for all flights, and the big lines move fast. 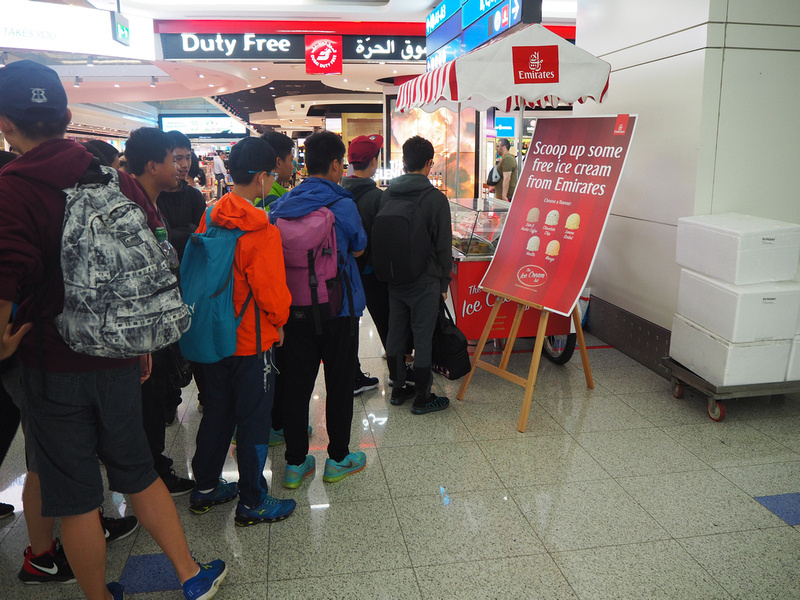 Along with the metro, the other best thing about DXB is when they are giving away free ice cream. I may or may not have gone back for seconds. But don’t let the free ice cream distract you from how overcrowded the airport is. Part of it has to do with the terminal design, which is a like a skinny tube with gates on either side. 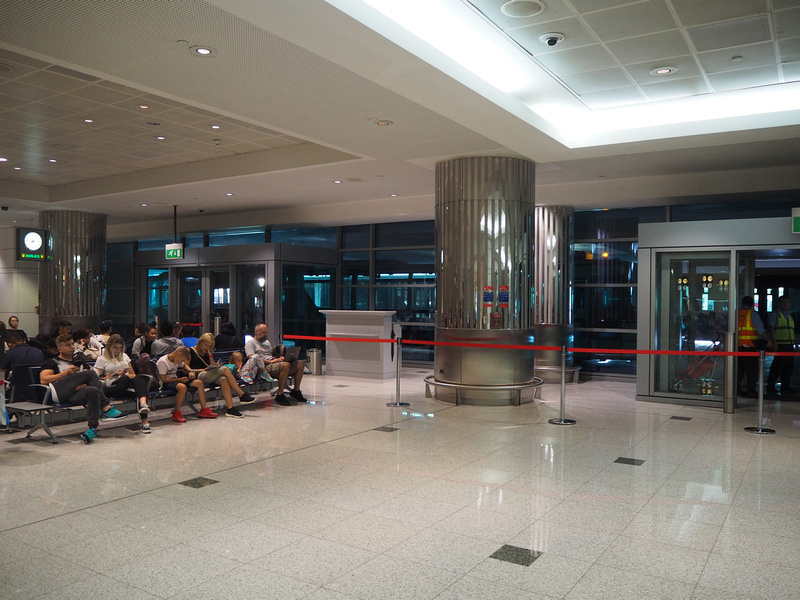 The departure lounges for the gates do not have much space, and crowds spill out on to the hallways. It’s a completely different experience to my first visit, when Emirates was only half the airline that it is now. Dubai have built a new airport (DWC Al Maktoum International Airport), which has ambitions of becoming the biggest airport in the world. Emirates are expected to move there by 2025. 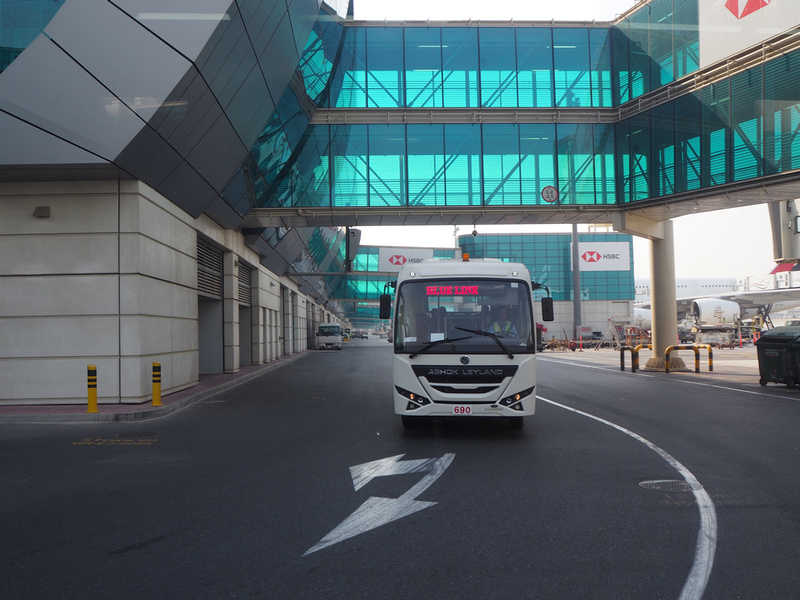 To highlight how crowded DXB has become, my flight was boarded via a lower gate using buses to load the plane. 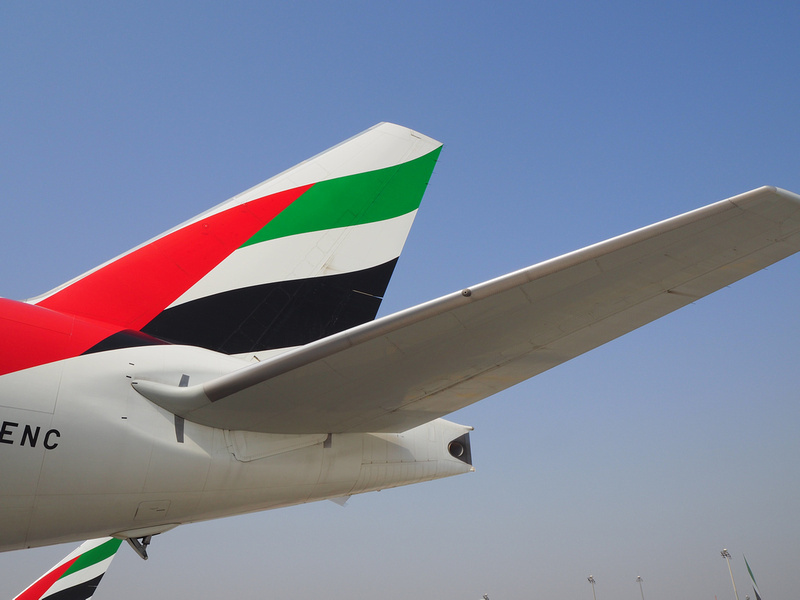 Emirates only fly 777 and A380 aircraft, and bus gates are usually reserved for smaller aircraft like 737/A320. On the bus we go. Our plane happened to be parked far away from the terminal, so it was a mini tour of the airport grounds. My flight was in August, which is the hottest month of the year in Dubai. Hot work while standing around in the sun while loading a 777 load of passengers via the tarmac. 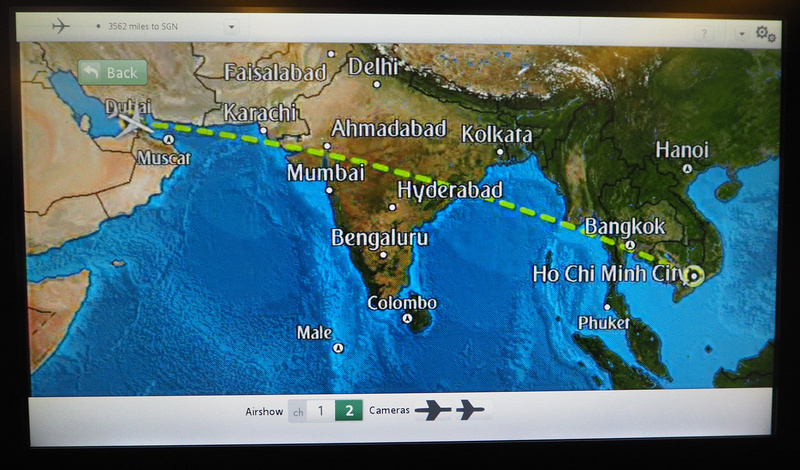 Anyway, now that the DXB experience is done, here is the flight review. I was flying economy, and the 777 have seats in 3-4-3 configuration. One of the highlights of Emirates is how good their inflight entertainment is. 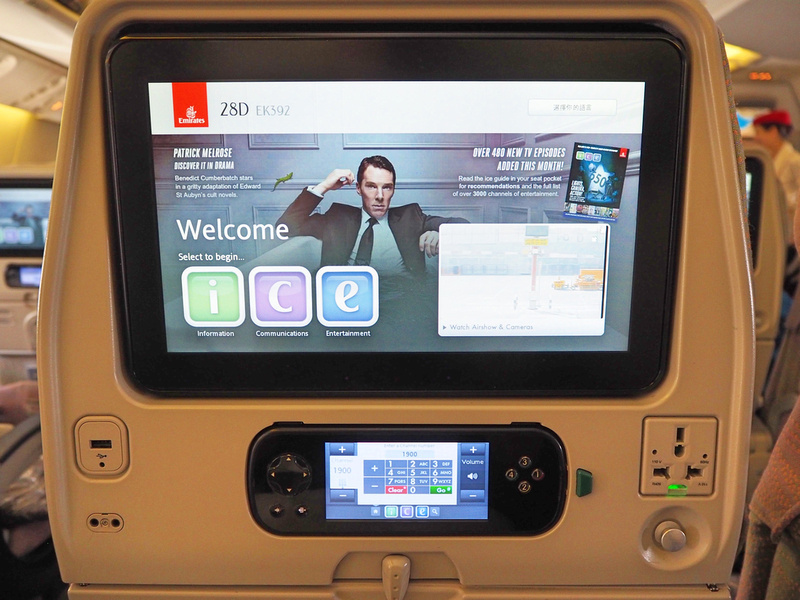 The screen is as wide as the seat, and they have electrical and USB plugs. One of the reasons I picked this flight was the flight time. 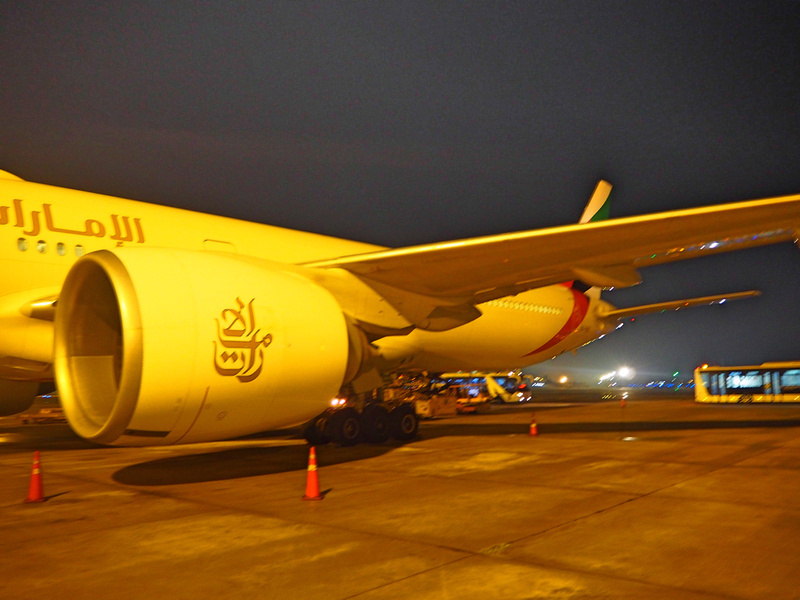 The flight departs Dubai at 9.30, and arrives in Ho Chi Minh City at 20.00. The scheduled flying time is 7H, 30M, though the actual flying time was 6H, 37M. This is as close to perfect a flight time as it gets for me. Fly during the day and arrive in the evening, so no jetlag the next day. I can’t sleep on flights, so I am being more selective with my flight times these days. Of course the people flying back from SGN to DXB have to pay it back with an overnight flight, so I probably wouldn’t do that flight. 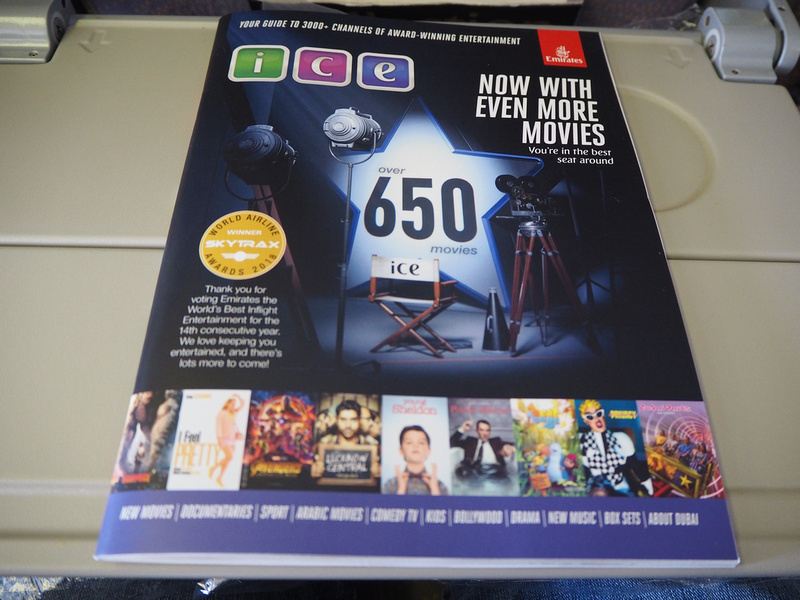 There wasn’t an inflight magazine available, so I’m not sure if they have been discontinued completely. The ubiquitous duty free magazine is still there. 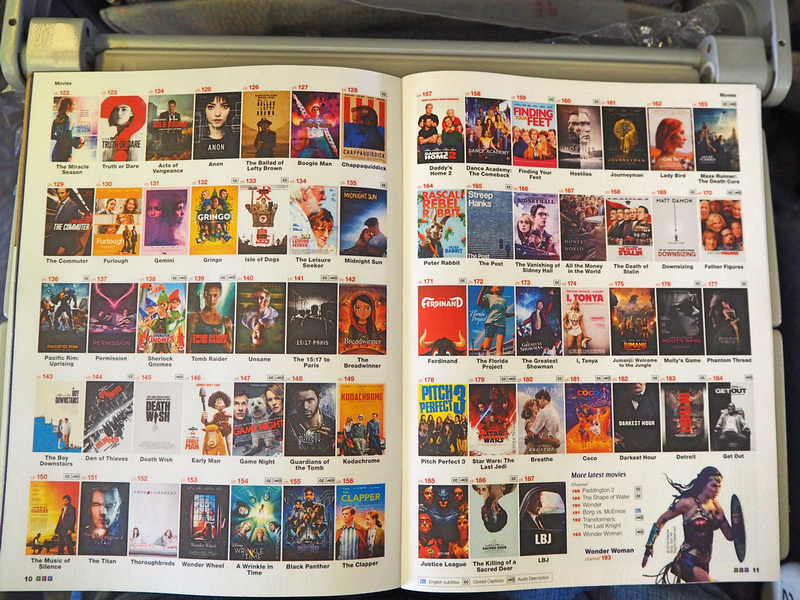 I haven’t flown enough airlines to be able to proclaim that one particular airline is the best in the world, but I wouldn’t argue with the award of World’s Best Inflight Entertainment going to Emirates (and for 14 years running at that). 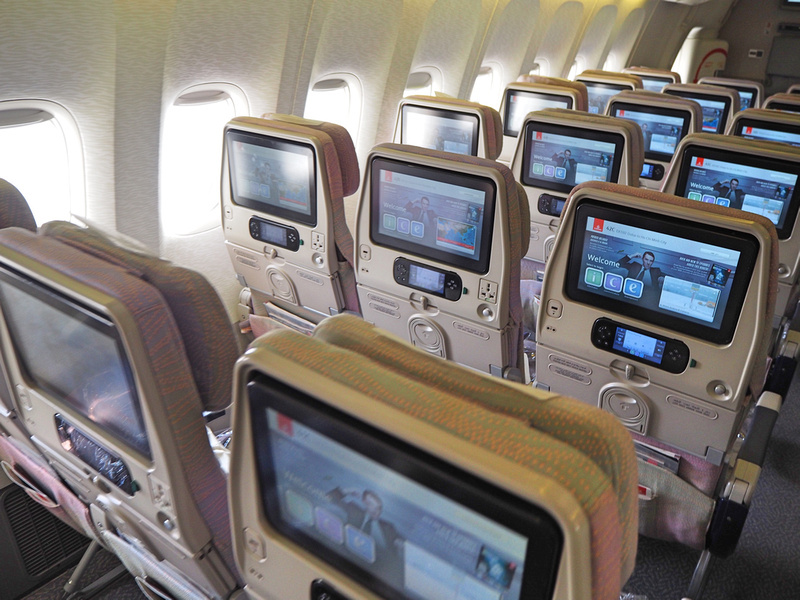 Emirates has an enormous selection of movies to choose from. I’m usually scouring the movie selection trying to pick one. Here I had several I wanted to watch. 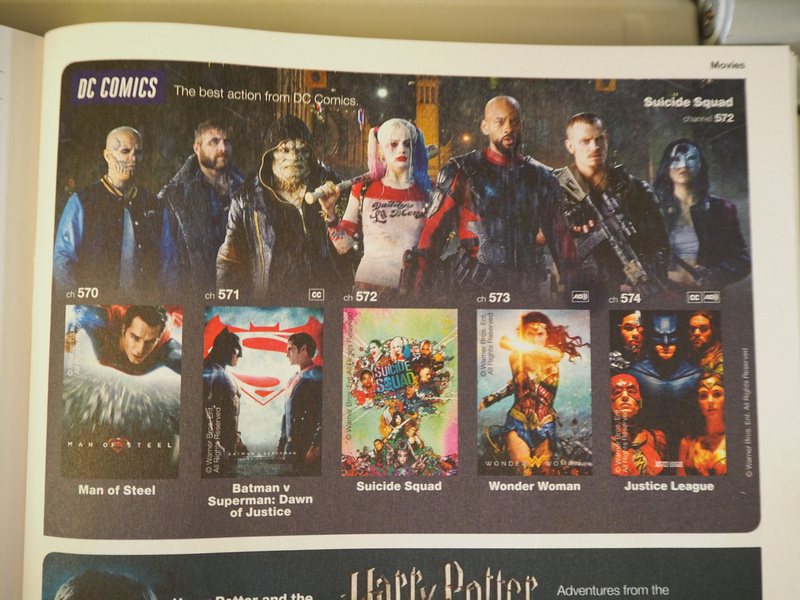 There are different themes, such as all the DC movies. And all the Marvel movies. 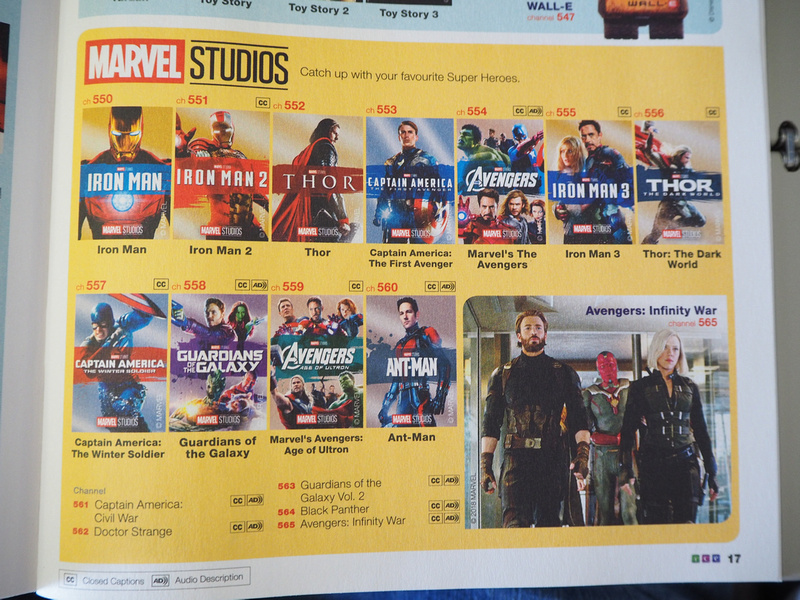 The menu for todays flight. 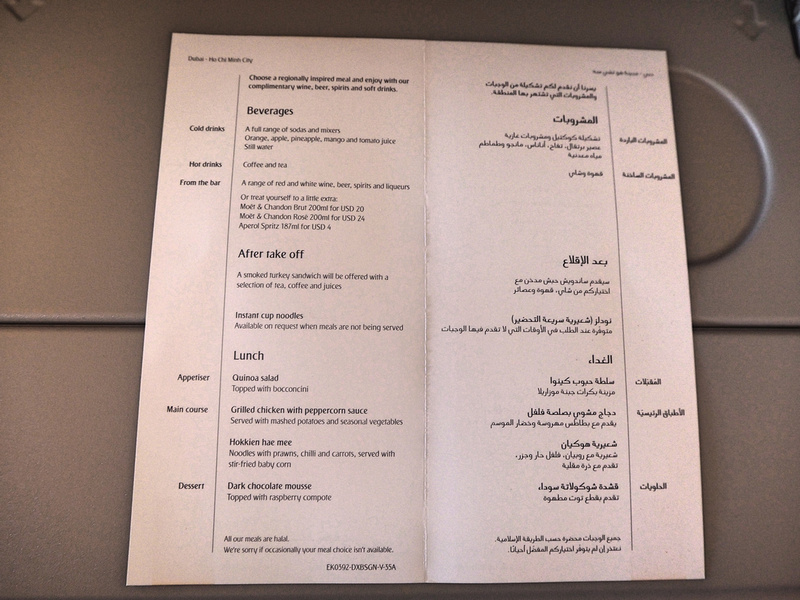 The flight is not quite long enough to justify two full meals, so there is an “After Take Off” meal and then lunch. 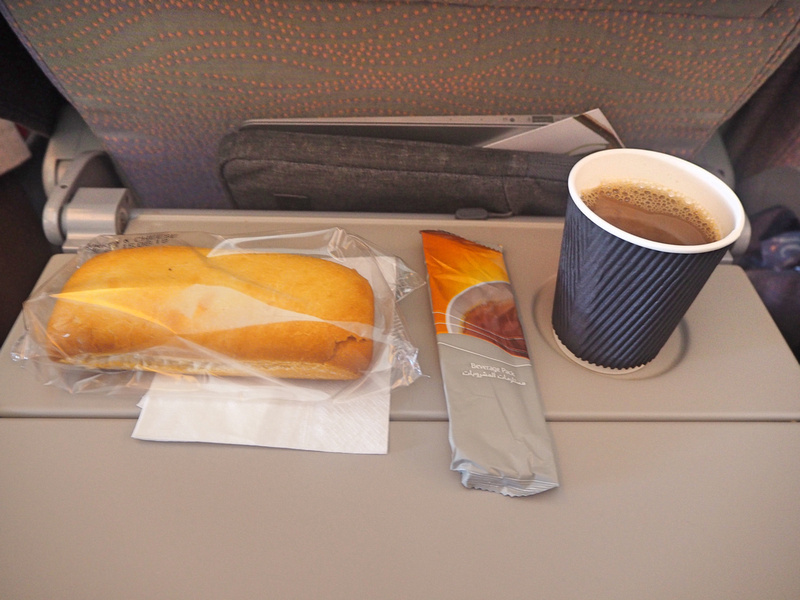 The “After Take Off” meal was a smoked turkey sandwich and coffee. For lunch I got the grilled chicken with peppercorn sauce. Despite all the tempting movies to watch I ended up just working for the flight. I find day time flights a great place to get work done. The flight arrived pretty much on time, and then we were stuck on the tarmac for 20 minutes. Like Dubai International Airport, Tan Son Nhat International Airport is also having issues with overcrowding. SGN long ago ran out of space, and they haven’t even started building the new airport for Ho Chi Minh City. Eventually the plane was parked on the tarmac and we were bussed to the airport terminal. This is the first flight in a 777 where I had to bus it to and from the plane. 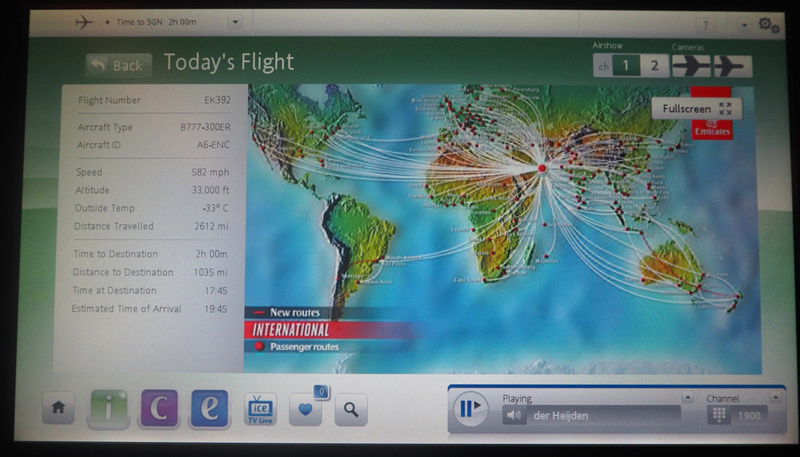 Overall though this was a great flight to get back to Vietnam, and I would be happy to fly with Emirates again.